You can use the 'Contact With Details' 'Web Section' to create a contact form within Remixer. On the top right click 'My Sites', then click the 'Edit' link under your theme. Pick somewhere in your theme to add the contact form. Add the 'Web Section' named 'Contact Form'. First, edit the text area on the right to include your details. After you complete edits, click the gear icon in the top right corner of the 'Web Section'. An options menu appears at the bottom of the 'Web Section'. Here you can enter a preferred email address to receive any contact form submissions from your site visitors. You can also adjust the placeholders users see. It's currently not possible to add additional fields to the contact form. After you finish assigning the email, click outside of the box to return to the theme. Finally click the Publish button in the top right to make it live. 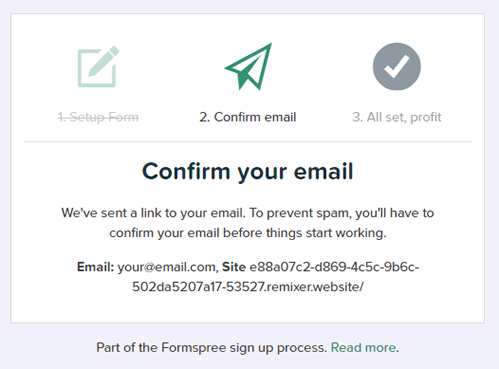 Remixer has partnered with Formspree to provide spam filtering for your contact form submissions. In order for it to work, you must verify the information after you publish the contact form in Remixer. Open your published page in Remixer and create a test message on your form. 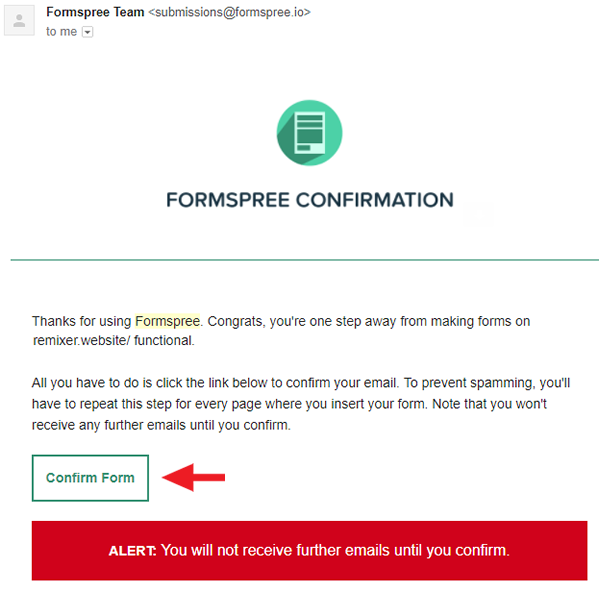 Click the 'Confirm Form' link within the Formspree verification email to activate your contact form. If you cannot find the verification email, check your email spam folder.